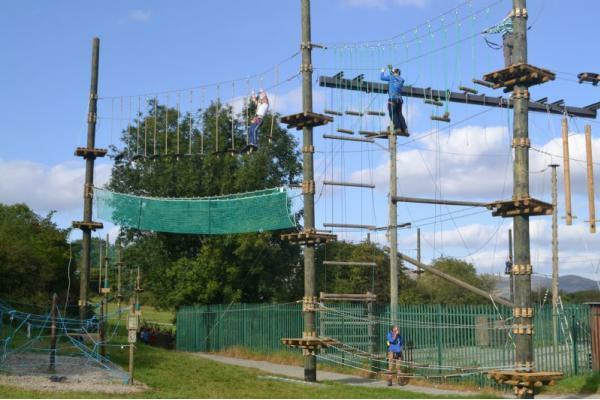 Welcome to Skypark the biggest and best Zipline Adventure Park in Ireland. The Adventure Centre are running a fab programme of our most popular activities from 26th March to 6th April. Supervised Activity Sessions: for 10-17yrs old. Parents can Drop and Run, kids will be fully supervised by our staff giving parents some time off. Half day / Full day options available. We have picked our most popular activities for the week: Ziptopia, Kayaking, Laser Combat, Stand Up Paddle boarding, Aero ball & Archery and Canadian Canoeing. 3 day & 5 Day camps running for the 10-17yr olds, residential and non-residential options available. Great deals on 4* Holiday homes – Book a 2 night break over Easter for €220, Limited availability. Larger houses to suit extended families. SKYPARK is open from 26th March to 6th April. Easter Egg Hunt on Easter Sunday, with special rate for Skypark of €20pp. You can just turn up on the day for Skypark courses, Skypark Junior (5-8yrs), mini golf, footgolf and our new activity at SKYPARK – Archery Combat! Activities from €8pp for families of 4+. 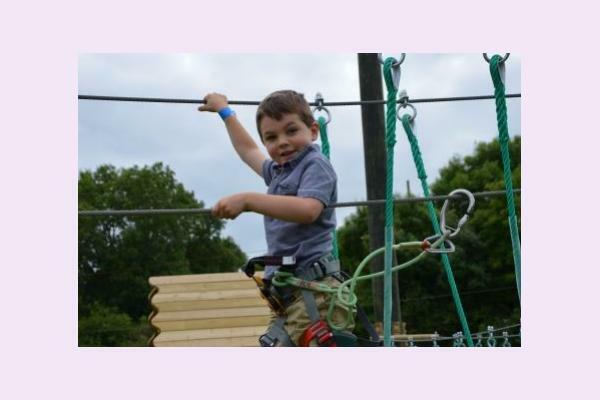 Skypark is a Zip Line & Adventure Park that caters for Children, Families and Adults for a brilliant day out. Challenge yourself on zip lines, rock climbing towers, suspension bridges, Tarzan swings, tightropes, rope bridges, cargo nets, base jumps, high ropes and tree houses. 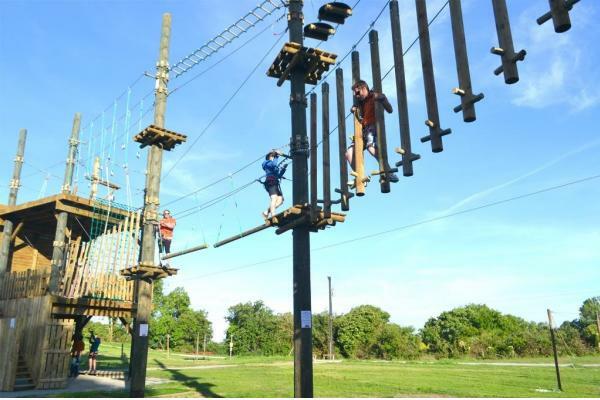 SKYPARK is suitable for ages 9+. If you have any queries about any of the courses we offer and their suitability please do not hesitate to contact us. Suitable for younger adventurers and includes rope bridges, zip lines & climbing apparatus. Children must be supervised by an Adult while on KIDSZONE. *All children must be supervised by an adult (18+). Adults can supervise from the ground (No Charge) or they can take part on SKYPARK. The Perfect Gift for Christmas & Special Occasions (gift vouchers available). Footgolf, Archery, Frisbee Disc Golf, Aeroball, Mini golf and Crystal Maze Challenges. 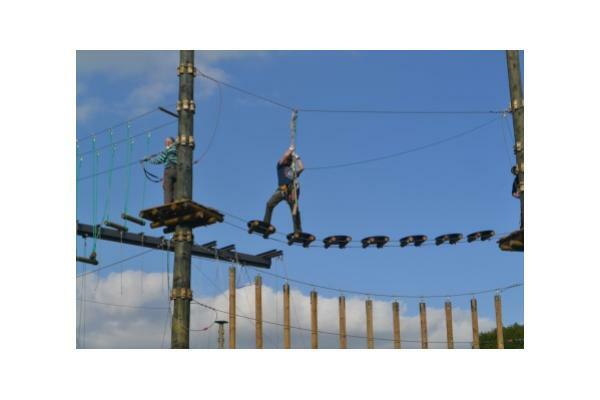 SKY PARK – FOR SUMMER CAMPS, STAGS&HENS & TEAM BUILDING WE ALSO HAVE YOU COVERED!